As I shared last week, we celebrate our nations birthday on July 4thbecause it is the date at the top of the Declaration of Independence. 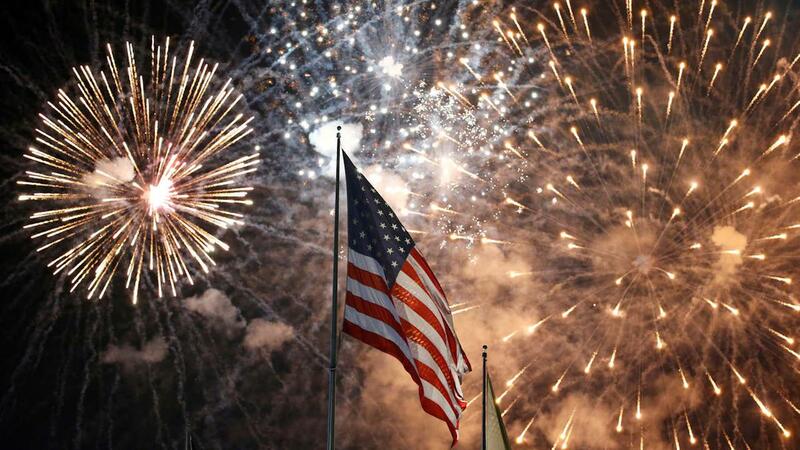 Choosing Independence Day serves as a reminder that the American experiment is most of all about freedom. 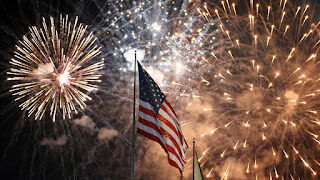 Our second President, John Adams, when writing about the Declaration of Independence and its anniversary, said, It will be celebrated with pomp and parade bonfires and illuminations from one end of this continent to the other. He was right! Why the Founding Fathers chose to declare independence in the middle of the summer heat eludes me. Thankfully, this 4thof July was not the hottest one weve had. I remember a few short years ago in 2012, temperatures were over 100 degrees Fahrenheit which makes this years Independence Day temperatures of 90-93 degrees seem a bit cooler in hindsight. I love the 4th of July. I love how we as Americans choose to celebrate our freedom. I love family picnics. I love the fireworks. And most of all, I love the parades. I love seeing our communities come together to celebrate freedom and to show the next generation what celebrating freedom looks like. Take a moment to remember the most recent 4th of July parade you saw. Maybe it was years ago. Maybe it was this past week. What did you see? Did you see military veterans on a float at the front of the parade? If they werent at the front they should be in the future. These brave men and women sacrificed to keep us safe and protect our freedom. Its important for the next generation to know who they are and what it takes for us to continue exercising our independence for generations to come. I had the privilege of seeing the Korean War Veterans at the front of the parade in Winnebago, Illinois. Local news reported that this years Winnebago Independence Day Parade was the best ever! Thank you to Trustee Stan Maligranda, Village President Frank Eubank, and countless more community members for your hard work. Did you see our first responders? Many of them spent hours of their holiday directing traffic in the scorching hot sun. These are the people who put their lives on the line to protect and serve each and every day. It is fitting that we choose to celebrate their service on our countrys birthday. It was good to see the different County Sheriffs, Gary Caruana (Winnebago County) in Winnebago, Brian VanVickle (Ogle County) in Mount Morris, Kevin Turner (Jo Daviess County) and we even saw the Carroll County Sheriff Jeff Doran pitching in at the Hanover Days Parade July 3rd. Did you see churches and parishioners? You may have seen the horse drawn carriage in Winnebago celebrating the First Presbyterian Churchs 150th birthday. I witnessed floats and volunteers from dozens of churches in parades across Northern Illinois. Churches work to meet our communities spiritual needs and we celebrate their contributions in our Independence Day Parades. Did you see community organizations and volunteers? In the Mount Morris Let Freedom Ring Parade, I saw floats from local Masons, Shriners, Lions Clubs, and Kiwanis Clubs. These are the people who give back to their community, and it is important to commemorate their good work. Did you see students? We saw marching bands and dance clubs, Scout Troops and athletes. On our nations birthday, we honor their efforts, commitments, and achievements. Did you see local farmers and businesses? Our 4th of July parades include entries that emphasize the importance of agriculture and local businesses. Tractors line up and folks toss candy to countless kids, and even a few adults along the way. Some folks, like Chuck Brauer Trucking, hand out fresh milk. In the span of an hour or so every year, our Independence Day Parades encapsulate who we are, and what we can be. It was a pleasure to join so many parades this year, and I look forward to seeing you all again. Albert Camus wrote Freedom is nothing but a chance to be better. I believe freedom gives us the chance to be better and that had me thinking even more about common sense solutions to help move Illinois forward. Last week it was reported that Tim Mapes, former Chief of Staff to Speaker Madigan, Clerk of the Illinois House of Representatives, and Executive Director of Democratic Party of Illinois, would receive a payout of $130,516.28 for unused vacation and sick time. If you dont remember, Mapes resigned those posts after allegations of sexual harassment were leveled against him. The $130,516.28 represents 91 unused vacation days, and half-pay for 146 unused sick days. The sheer volume of unused time raises an interesting question for state and local governments. I dont know many taxpayers who have the chance to rollover that much time and get six figure checks for it. Common sense solutions need to be considered. It was President Lyndon Johnson who said, This, then, is the state of the union: free and restless, growing and full of hope. So it was in the beginning. So it shall always be, while God is willing, and we are strong enough to keep the faith. I agree, and the hope I have is to help pass more common sense solutions that move all of Illinois forward. This week, Sally will be out of the office on vacation. If you have any additional thoughts or ideas, you can reach me 815-232-0774, or visit my website at www.repbrianstewart.com and use the form to send me an e-mail.